Amateur or professional, making weight is always a tough task for boxers. 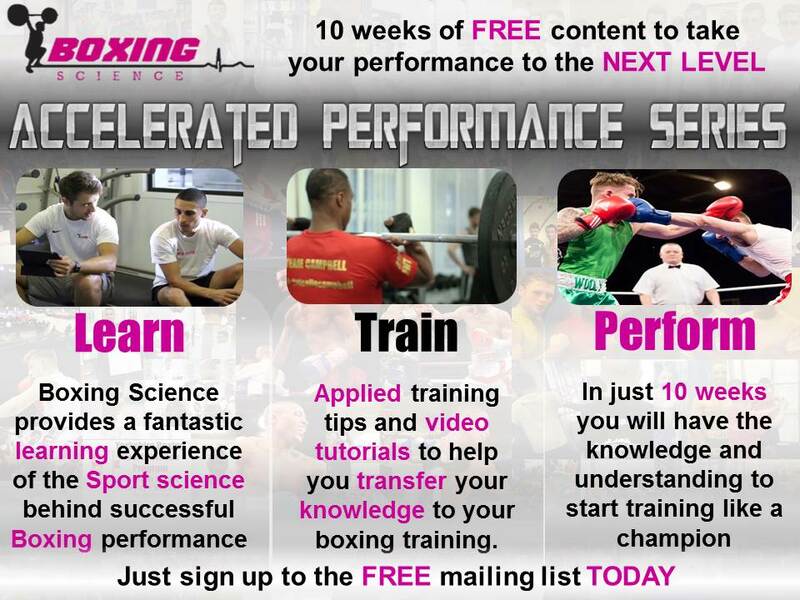 However, there are different approaches for each discipline when making weight and refuelling for competition. Many national / international boxers will weigh-in on the day before, and will only need to make weight once (or check weigh-in next day). Whereas amateur boxers will have to weigh-in on the morning of each bout during international tournaments. This can really work against boxers in numerous situations. 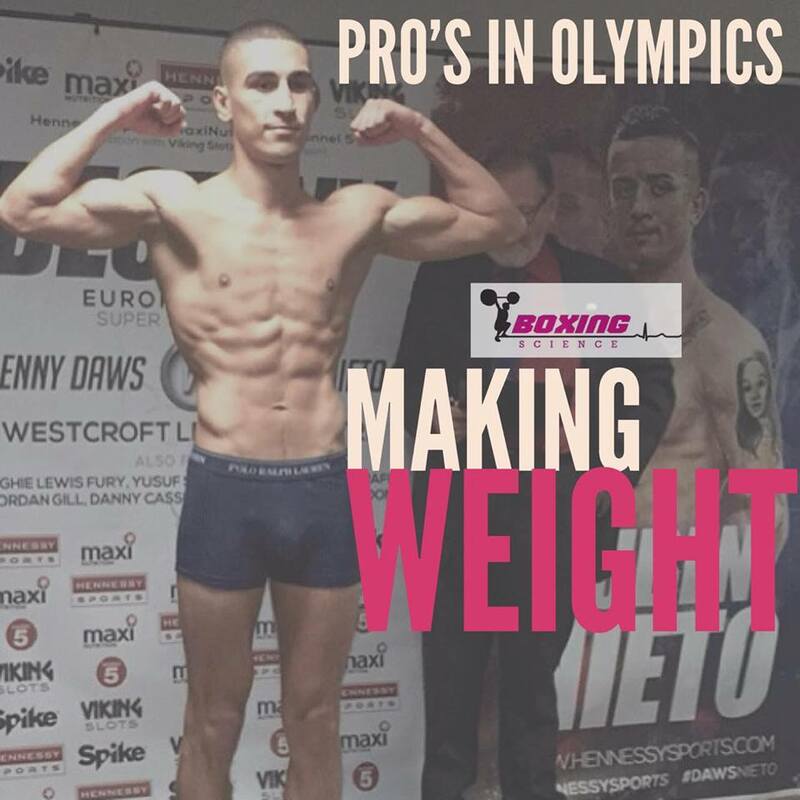 Due to single competition and longer refuelling periods, professional boxers often walk round much heavier than amateur boxers that compete at the same weight. Take these elements away, professional boxers may find it difficult to compete at their preferred weight category effectively as they can end up feeling drained and fatigued due to losing too much weight acutely and unable to refuel sufficiently. This could leave professional boxers to compete at heavier weight categories, facing bigger and stronger opposition. Without the correct physical preparation, pro’s may struggle to perform at a heavier body mass as this can affect energy demands (fitness), tolerance to punches and speed. 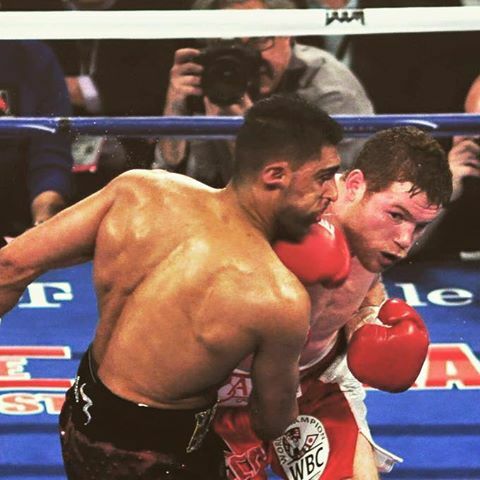 Bit like Canelo vs Khan…. When refuelling between the scales and the ring, professional boxers can increase their body mass 8-15 lbs. This is the boxer replenishing water and glycogen stores following depletion in order to make weight. This could be difficult for professional boxers to do during the Olympics, as they may need to compete in the next 1-2 days. This means that professional boxers may need to control the increase in body mass as acute weight fluctuation can cause fatigue and illness. The duration between competitive bouts are much shorter in the Olympics than a professional. A high-level professional has 2-4 fights per year, therefore could find the 1-2 days recovery between Olympic tournament bouts quite difficult. This could mean that professionals would need to adopt new nutritional methods to stay fresh for each competition. This may involve a professional consuming more food / water than an amateur boxer, which could leave making weight a much harder task. This is starting to look very different for the pro’s…. … How would this affect their mindset? Danny Wilson co-founded Boxing Science in 2014 following building the successful Boxing program at Sheffield Hallam University where he has coached over 100 amateur and professional boxers as a strength and conditioning coach. He has also helped prepare Kell Brook for his mega-fight with Gennady Golovkin, and his Ingle Gym stablemates including Kid Galahad, Jordan Gill and Kyle Yousaf. Away from Boxing, Danny is currently the Yorkshire regional strength and conditioning coach for England Golf and has experiences in youth and professional standards across a range of sports. Danny is a United Kingdom Strength and Conditioning Association accredited strength and conditioning coach and has a Master of Science degree in Sport Science at Sheffield Hallam University, UK. For his final research project Danny profiled the physiological characteristics of amateur boxers and will share some of the novel findings on Boxing Science. Danny will be contributing to the Strength and Conditioning section by writing about the science behind the punch, training methods, working with junior athletes and case studies.